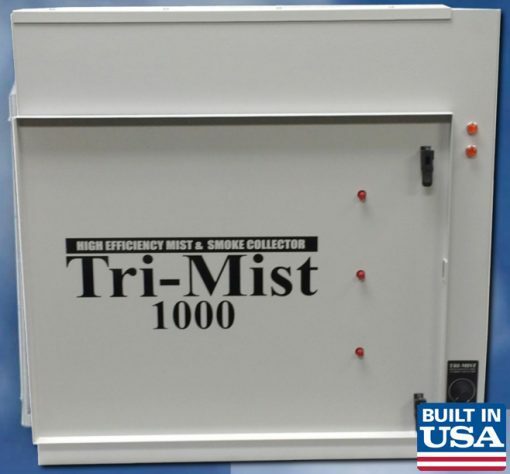 TRI-MIST 1000 | Ketcham & Company, Inc.
Up to 99% per ASHRAE 52.2. Effective on all metal working fluids. 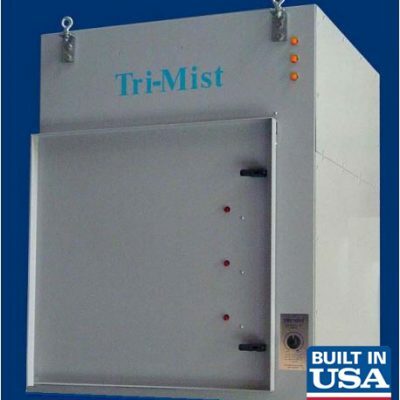 Triple-Pass ESP Technology operates on less than 450 watts and does not require disposable filters. The TRI-MIST 1000 is compact and can be direct mounted to the machine tool enclosure. 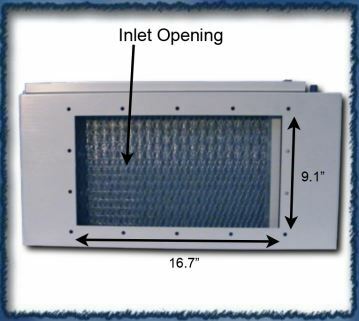 Optional flex-duct and inlet plenum options allow for ceiling, wall or floor mount installations. 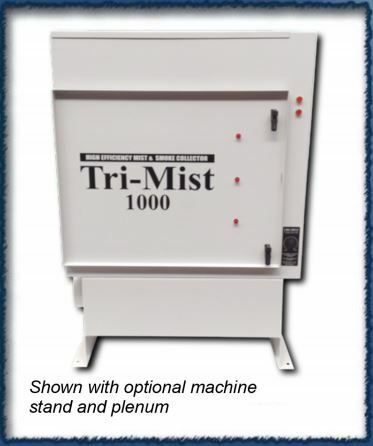 Buy our new TRI-MIST 1000 under our performance guarantee, and if you are not satisfied, return it for a full refund. 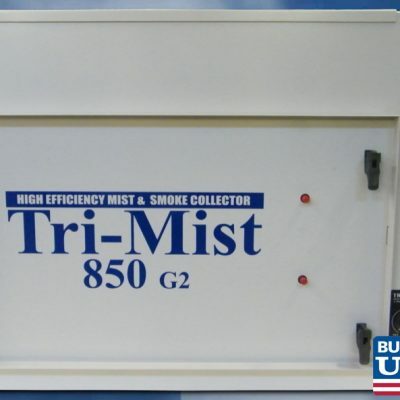 The Tri-Mist has the longest warranty in its class with a 48 month limited warranty. Better built — Better backed! 1st Stage — two 2″ mechanical impingers. 4th Stage — ESP cell 53 sq. ft. of surface area. 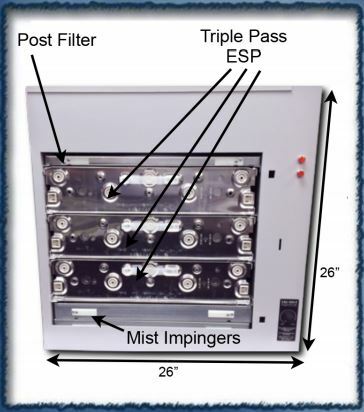 5th Stage — 1″ thick post filter 6th Stage — Optional HEPAMAX filter rated at 99.97% DOP @ .3 micron. 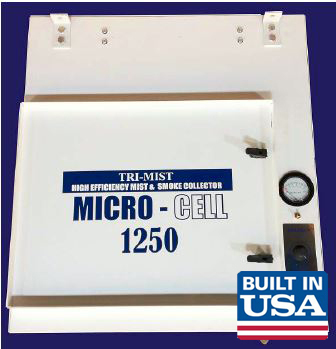 Electrical Rating: 115 V , 60 HZ, 4 amps. 200-240 V, 50-60 HZ, 2 amps. 400-480V, 50-60 HZ, 1 amp Voltage must be specified when ordered. Input voltage cannot be changed in the field. Impeller: Vibration free, backward curve rated at 1100 cfm @ 0.0″ w.g.